We are the supplier of the Executive Conference Bag to our clients. 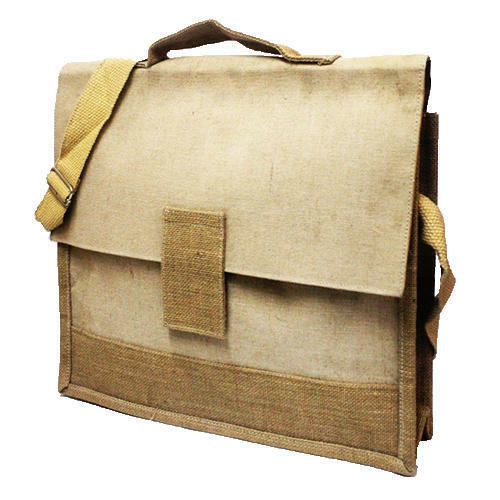 Being a leading name in manufacturing and supplying of exquisitely designed jute, cloth , canvas products our organization is well known for providing the best quality products with impeccable design through out the country. Srishti is well known suppliers of flawlessly designed and quality range of products that are promptly delivered and rather economical. Our product ranges include Pen Holders, Jute Purse, Jute Bags, Table Tops, Jute Coin Purse, Handcrafted Purses, Wallets, jute Folders, canvas Sling bag, Duffle bags, laptop bags, over nighter, I pad Holder, laptop sleeves and many more. Owing to our industrial experience of over wright productive years, we have gained expertise in crafting and client handling. We have in house designing Team , Printing facility, More than 40 craftsmen to deliver quality products in stipulate time. We take bulk orders and also open to manufacture products as per customer's design.